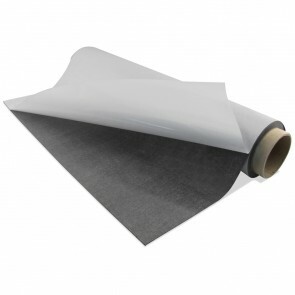 This roll of Adhesive Magnet is 24.375" wide by 25 feet long. It is 20 mil in thickness. The adhesive is an indoor adhesive that is perfect for crafts of all kinds.